When the bird and he book disagree, believe the bird. 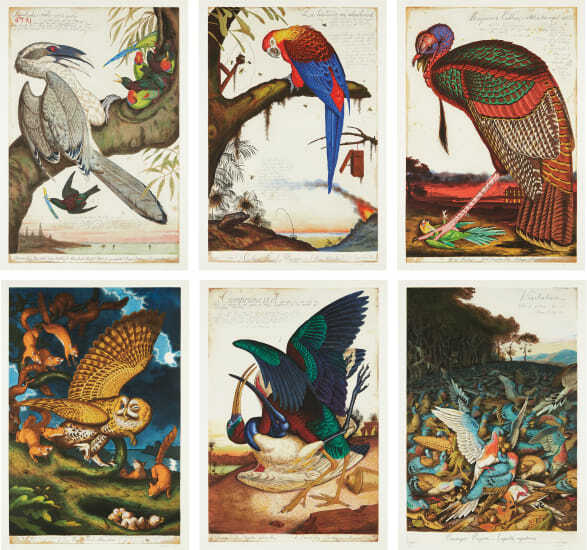 The complete series of six etchings in colors, on Somerset Satin paper, with full margins. All signed, dated and numbered 43/50 in pencil (there were also 12 artist's proofs), published by Blue Heron Press, New York, all framed.